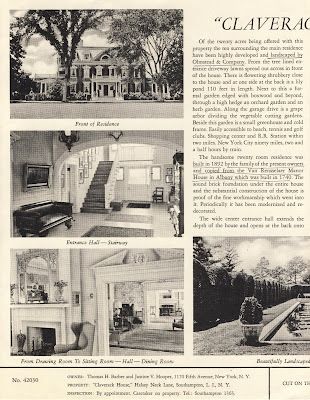 A brochure advertising 'Claverack', the Thomas H. Barber estate designed by Robert Henderson Robertson c. 1892 in Southampton. 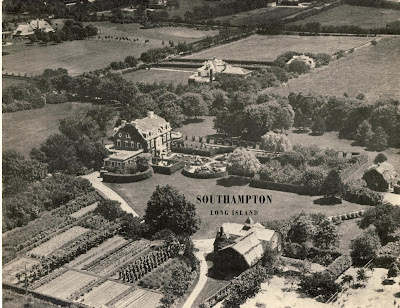 The estate was extensively landscaped by the Olmsted Brothers. Barber's wife, Harriet Townsend Barber, was a descendant of the Van Rensselaer family, one of the original Dutch families to move into the Hudson River Valley. The house went through a few owners after the Barber family and has since undergone some renovations and minor alterations. Click HERE to see 'Claverack' on google earth and HERE on bing. 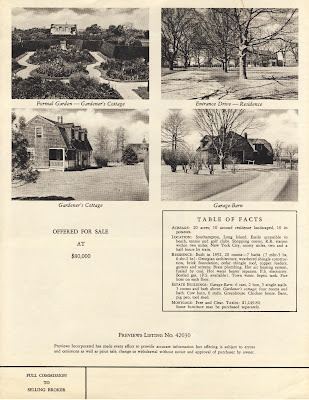 Click below to see 'Claverack' in a 1954 aerial shot. Brochure courtesy of SPLIA. 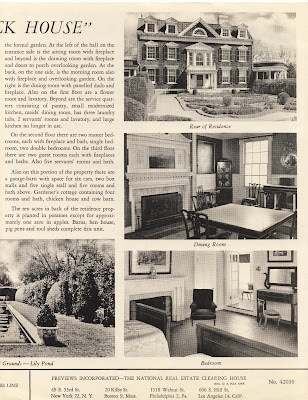 At the top-left of the 'Claverack' brochure is seen 'Tenacre' the estate of Joseph P. Knapp, of 1921, designed by architect John Russell Pope. A write-up appears in "John Russell Pope - Mastering Tradition", by james B. Garrison, Acanthus Press, 2004. On pages 200 to 205 there are five illustrations, plus floor plans.